Black Friday slash Cyber Monday is coming fast. Not only can you earn free cash, points, or miles, but use a shopping portal to get extra bonus money just for signing up and clicking a link before you shop. Here’s a recap of current portal bonuses if you’re a new member, and a few apps that will give you free money when you shop. If you’re going to buy stuff anyway, always get something back from it. Even if it’s a few bucks here and there, it all adds up! Here’s a list of current bonuses! Shopping portals are sites that award you free cash, points, or miles when you click through their links before you begin your online shopping. You can earn rewards for shopping at nearly every big merchant. 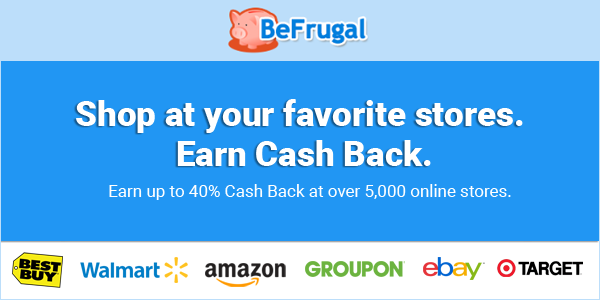 Always check Cashback Monitor to see which site will give you the most for your purchase. That said, some portals give you a first-time use bonus, or a bonus for spending a certain amount, if you’re a new member. And when you include it, the value can actually be stellar. Dosh – $5 instantly added to your account when you link a card. One of my favorite apps! Ibotta – $10 when you download the app. Another fave! In particular, I like Dosh and Ibotta when shopping for everyday items like groceries because you can get deals in-store, too. The others are online only (for the most part). As of now, I don’t see any special offers for shopping other than the usual miles per $1 spent. Sometimes they run promotions, and I wouldn’t be surprised to see one pop up over the next month or so. Keep watch if you’re interested. The most notable is the Chase Ultimate Rewards shopping portal that gives you extra points if you have a Chase Ultimate Rewards card. Barclays also has a shopping portal. But depending if another cashback portal offers a bigger percentage of cash, or if you can earn bonus miles from an airline portal, you might decide not to use these. That said, transferable points are the most valuable around so you just gotta run the numbers and go for what you personally prefer the most. These are excellent additions that offer protection for your shopping. I’ve used them all for years and have saved $100s in price drop credits and refunds for late shipping (even it’s only late by 1 day). If you plan to shop online at all this holiday season, get free cash for shopping through a portal! Many of them will give you bonus money just for signing up, or making a purchase, if you’re a new member. I’ve rounded up the current bonuses above. If you prefer airline miles, keep an eye out for a portal bonus at some point in the next few weeks. And check Cashback Monitor to check the best earning rates across every portal at a glance. Now would be a good time to score a lot of bonuses in a row. Here’s my full comparison of 15 cashback shopping portals. And if you shop online with regularity, definitely get on board with Earny, Honey, and Paribus. They’ll add value when there are price drops or extra coupons – or late shipments. Free money for shopping – these are the easiest wins around!